Star Wars Battlefront 2: Snap! Crackle! Pop! Wait, what’s that sound? Oh, I see. That’s the Star Wars: Battlefront2. Wake up! I am not making any comical sequel. The year 2017 is going to be an astonishing one with the upcoming of Battlefront 2. Hey, wait for what? Oops.. I thought I’ve revealed the title of the game. Wow, that sounds exciting. The title ‘Battlefront 2’ itself suggests how electrifying it would be. Well, this seems to be a great news this year. You’ll be curious to know about the release date. Well, your excitement is but natural. Let me come to the point! Basically, any official date hasn’t been signed yet but yes of course, by November 2017 we’ll get to greet the Star Wars. It’s almost a month before Episode VIII: The Last Jedi movie releases. Start counting the days. The mystery box holds in a news for us! Wanna know? Okay, let me do the honor of telling you about a new feature in the game. Sometimes, all we want is to play all by ourselves. Also, we love our own time and company! So, this wish is been fulfilled. We can opt for a single player battle this time. Well, this news is what you’ll be searching for. Check: Jessica Jones Season 2. Remember the three eras of StarWars? The prequels, original trilogy, and the force awaken era. Battlefront 2 is revealed to place across these era’s and would be much more magnifying this time. Start your voyage towards becoming a Star Wars and fight the battles of the eras. That sounds fun! Doesn’t it? Yes, of course. Games are always thrilling. Let’s talk about the weapons installed in the game. Which one would you opt? Stormtrooper F-11D blaster or Z6 Riot control baton? I’d like to try each of them. The battle had just begun! All the news had just made me feel like there’s no time left for my battles. Funny! Isn’t it? Well, all new battleground calls for new vehicles, characters, modes, missions, and maps. This is but obvious. As a successor, Battlefront 2 reflects a fresh story-based theme. New modes just arrive in the battle. Wow, with that I would be able to conquer the battle. ‘Jedi’ can now be used as a plus point throughout the game. Excited to hear about the new modes? Which one would you carry as an option? Hero assault or Objective-based space battles? I am so confused whether to choose Hero assault, which sounds extremely thrilling. Or to go for Objective-based space battles, that is too exciting for me too. The first announced is the Galactic Assault, which splits into two phases. It was featured in the E3 2017. In the first phase, an attacking team escorts a vehicle, then in the second phase, defenders repel the assault in a new location. If there any, other modes aren’t public yet. However, we can expect some more like 40-player Supremacy and Walker Assault. The previous version of the game had many likes of Drop Zone, Extraction, Cargo, and Droid Run. We would see Heroes vs Villains too. A new mode of 24-player space battles would be introduced. It will take place in the orbit of the classic planets. It was a fan favorite in the original series. Hopefully, the laser-fuelled dogfights will be better. The sequel will feature single player campaign only. It’s going to be interesting as we won’t be the regular Rebel good guys instead we would see the game through the eyes of the Imperials. The game story spreads around 30 years and the user plays as Iden Versio, the commander of the Imperial black-ops team Inferno Squad. It focuses on the developments after the destruction of the second Death Star as it happened in the Return of the Jedi. The game bridges the gap between the original trilogy and the latest trio. Versio and team will be out for their Emperor’s death and will come across many familiar characters in the journey. Walt Williams has co-written the story. He is regarded as the good fit for writing such stories. It’s about the galaxy’s bad guys vs the terrorist Rebels. DICE has posted the list of planets which will be a part of the game. Theed (capital city of Naboo), Takodana, Starkiller Base, and Yavin IV as well as Endor, Tatooine, and Hoth. Each map will feature its own look and design of the characters. 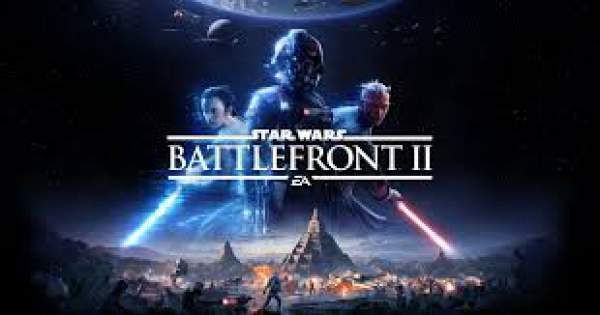 For example, battles on Theed will feature Battle Droids and prequel-era equipment, while Starkiller Base will pit the Resistance against the First Order. This time, there will be a class-based soldier system. Playing each class will be like a career mode itself as you will unlock new abilities and upgrades with experience and time. New weapon mods and improvements will be introduced from time to time. From multiple roles, you can find out your own combat niche. From the four main classes, Assaults are all-rounders and these are classic Stormtroopers and Rebel soldiers. Then comes Heavies which carry big weapons like rapid fire lasers and combat shield for their defense. The third class is of hunters aka specialists. They carry sniper rifles, deployable traps, and the ability to reveal enemies on the map. The fourth kind of class is Officers. They can buff and heal allies, and build automated sentry turrets. By spending Battle points, the user can unlock the second set of advanced special classes. Points can be earned by scoring skills, assists, and fulfilling objectives. Special classes would require around 2000 to be unlocked. It includes jetpack-using Clone Jumptrooper and Super Battle Droids. Vehicles constitute an important part of the game. Adding to what the prequel had in its store, the sequel comes up with widely expanded new rides, complete fleets for the new era trilogies. There will be an emphasis on starfighters courtesy of the new space battles. Also, new ground vehicles will also be available to use. At E3 2017, the Naboo-set Theed map was featured with the Droid AAT-1 hovering tank and an AT-RT walker platform. N-1 Starfighters and V-Wings with Vulture droids were featured in the sky battles. Another interesting news is that users will be able to ride on the back of a tauntaun on Hoth. Prequel’s vehicle pick-up tokens will be replaced with the Battle Points system. Killing and completing objectives increase the points which can be later spent on unlocking various stuff. It enables fair usage of vehicles for everyone. The new system integrates both vehicles on-map and the spawn-in-vehicles similar to the original game. Here is the complete list of vehicles. Both characters – Hero and Villian will return once again. Many eras have passed, thus there will be an array of the roster. Darth Maul, Yoda, Kylo Ren, Luke Skywalker, Rey, Han Solo, Boba Fett, Captain Phasma, and Finn have already been confirmed so far. Emperor Palpatine was leaked in a footage. Leia should also be there. Darth Maul: Energetic fighter with a spin attack and a classic Sith choke hold move. Similar to vehicles and special classes, Battle Points system is applicable to unlocking heroes and villains. It costs around 5000 points for each of them. In Battlefront 2, characters from different eras will merge together. The Battlefront 2 game will get updates for its maps and modes with time. The DLC will be free of cost. Thus, you won’t be paying anything for any of the future expansions. Thus, there will be no season pass and no splitting of the player base. The official plan for the DLC is not revealed yet, but the first part will have The Last Jedi-themed maps, heroes, weapons, and vehicles. And the first new heroes will be Finn and Captain Phasma. DLC hasn’t been financed. So, the SWB2 game will be making its money via micro transaction loot boxes or ‘supply crates’. The players can earn these in the game by playing matches. It will have random assortments of cosmetic cards. Star Cards will be available there to be used to add new abilities to your classes and hero characters. These cards will be ranked either as common or rare, just like it is done in other games. It will be available to be used in the Autumn (late September / October 2017). It’s not official yet, but it’s our guess and it’s a solid one. Pre-ordering the game will grant your early access to the beta as well as some more in-game goodies like Cards and outfits. This is what we have so far. The information available above will be continuously updated and added. So, don’t forget to check time and again. Stay tuned to TheReporterTimes for latest games and updates. Previous article‘Dragon Ball Super’ Episode 100 Spoilers, Release Date and Promo: Caulifla Transforms Into Super Saiyan?